Sukhoi Su-47 Berkut 5th generation plus fighters will make all current fighter aircraft obsolete within 10 years according to Sukhoi. The unique aircraft is expected to demonstrate extreme agility along short trajectories, and perform maneuvers of over a ninety degree angle of attack. In addition it will employ stealth technology and have super cruise ability. The multi-purpose aircraft will have BVR, attack, interceptor, and long range tactical abilities. The FSW demonstration version of the aircraft has been flying since Sept. 25, 1997. Many compare its agile flight performance with that of the best fighter aircraft in the world, NOW you can own your very own!!. ** The wing sets and fuselage used in this jet are specifically designed to allow high G maneuvers, yet the wing loading is still very low. It includes 2 Powerful 70 mm electric ducted fans with brushless motors which makes it possible to fly at high speeds and maintain split second throttle control for the most demanding 3D aerobatic tasks. As a GIFT from Xtreme Hobby to you!! 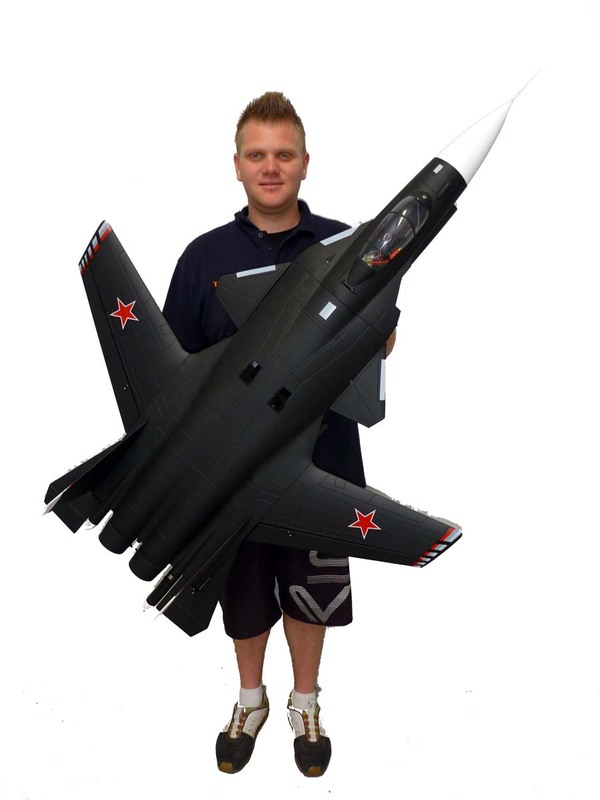 Download a FREE copy of the SU47 Manual below! !